Many people are curious about the new Elevation Mask 2.0 and if its worth it. I've integrated the mask in to Desert-Fit V2, the most up to date Desert-Fit work out plan, in order to test. First and foremost, despite the name its not really an elevation mask; its an oxygen restriction mask. You're lungs contain small sacs called Alveoli. These alveoli are what transfer the oxygen from your lungs to your blood stream. At elevation the air is thinner at the molecular level and your alveoli acclimate after staying at that elevation for some time. In order to thin the air in a molecular level requires a large expensive machine with hoses and pressurized tanks. Instead of changing the air itself, the Elevation 2.0 mask limits the amount you are breathing in. This doesn't affect your alveoli's ability to acclimate to thinner air, instead you are working your lung's muscles harder trying to get the amount of air into your lungs that you need to perform an exercise...and thats not a bad thing. 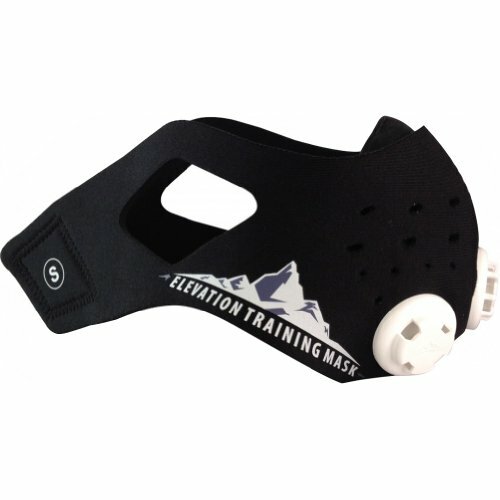 The elevation 2.0 mask basically turns any work out into an intense cardio work out. So far I have only used the mask with the easiest setting. The hardest setting will leave you out of breath just sitting still until you become a super stud with iron lungs. I have begun using the mask for two reasons. First I use to intensify a work out that may not be as intense as I want it to be. The other reason is to intensify a reason that I have to shorten to due available time. I most commonly do this with ruck marches. Ruck marches require time that isn't always available. In that case I substitute a long Ruck march with a short uphill ruck with the mask on. The times I will not use the mask is when I am taking some sort of physical test, trying to hit a PR (personal record), or while focusing on my lifts. I do this in order to ensure that I get the maximum performance at those time with all the oxygen that is needed to do it. So far I haven't used it on a run, but plan on programing it into Desert-Fit V3. The Elevation 2.0 mask uses easily exchangeable caps with a different number of holes in each one to change the amount of air you intake. Breathing out you exhale through a single none replaceable valve. The mask is made out of neoprene with a hard plastic moth nice that thins out where it contacts your face for comfort. It also comes with an optional band that attaches above your ears and straps over your head. I prefer to use it, especially on intense exercises, but it depends on whats comfortable for you. Part 2 will be posted once Desert-Fit comes close to an end with the results of my trials. If you want to try out the mask yourself you can get it here in our gear section. Hiking and Amateur Mountain Climbing Mistakes for the Functional Fitness Athlete: Altitude Sickness and Route Selection.